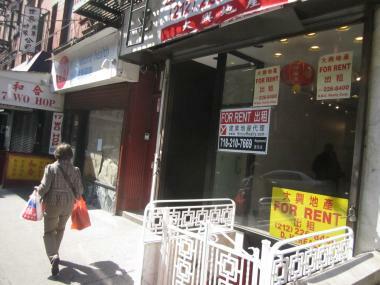 This building at 19 Mott St., owned by Jan Lee, is one of many that were recently taxed to support the Chinatown BID. CHINATOWN — Chinatown property owners and residents are fuming about an alleged bureaucratic breakdown over the controversial new Chinatown Business Improvement District that they claim has stuck some of them with several thousand dollars in unexpected fees. The city's Department of Finance recently shipped out a tax bill to Chinatown property owners that included a hefty BID fee for fiscal year 2011-'12 based on property values for each building. The BID, however, wasn't officially approved by the state Comptroller's office until late January — almost four months after the City Council and Mayor Michael Bloomberg signed it into law, according to records. Jan Lee, who owns two Mott Street buildings, was recently billed more than $2,200 in BID taxes. "We are being charged for a period of time before the BID was even founded," said Jan Lee, a BID opponent who owns two buildings on Mott Street and said he was charged more than $2,200. "We want to know where our money is going." 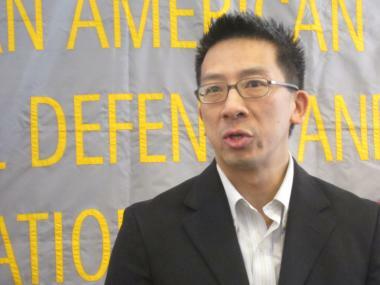 Wellington Chen, executive director of BID creator the Chinatown Partnership, defended its decision to charge members for work done before the BID's official start date, saying they began providing services to the neighborhood the minute the city signed off on the plan. "For small property owners, who are already responsible for many fees, this additional, unlawful charge for hundreds or thousands of dollars adds up," said Bethany Li, staff attorney with AALDEF. John Casalinuovo, 60, who said he just got a bill for more than $2,400 for the 116 Mott St. building his family has owned since 1937, called the bill "too typical of the way the city operates." "We're crippled," Casalinuovo said. "It's absolutely ridiculous. I should be getting a tax break — not an increase in taxes."